C.S. Lewis has long been recognized as a beloved author of children's literature and an apologist for Christian belief to a skeptical modern world. 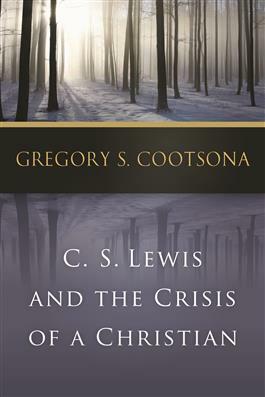 In this new volume, Gregory S. Cootsona shows us how Lewis can also serve as a guide to the ups and downs of the Christian journey. Like many of us, Lewis suffered from a variety of crises of faith and personal experience. Like us, he came to faith in a world that no longer respects Christian commitment or offers much room for belief in God. Like us, he felt the absence of God when those closest to him died. Like us, he wrestled with doubt, wondering if God is real, or simply the projection of his own wishes onto the screen of the universe. Like us, he knew the kinds of temptations he described with such poignancy and humor in The Screwtape Letters. By examining these and the other crises of C.S. Lewis's life, Cootsona shows us how Lewis found God in each one, and how he shared those discoveries with us in his writing. All those wishing to deepen and enrich their own spiritual journey will find much guidance and wisdom in these pages. "Greg Cootsona's treatment of C.S. Lewis reflects the passion and thoroughness of a devoté who savors the insights of a long-term mentor. He relishes handing on morsels of Lewis' imagination and insight, while he also analyzes and measures Lewis' enduring value. Reading this book will enhance your experience of the feast that is C.S. Lewis, but it will also fortify the heart and imagination for the "crises" which all true faith must engage." "Greg Cootsona's book is as distinctive a contribution to writing on Lewis as any I know. With no claim towards breaking new ground, the author nevertheless brings a perspective so fresh that even a veteran reader of the master will be instructed. Of course, Cootsona know his Lewis, but he also knows Lewis's philosophy and philosophers, and he so interanimates that knowledge by way of his own extraordinary pastoral (and personal) touch that the reader emerges refreshed. I could argue a point or two, but that would miss the point of this very readable and generous book."